My mom is always saying, “The Japanese are the most disciplined people in the world,” though she has never visited all the countries on the earth. She says that there are a lot of examples that can prove the Japanese are the most disciplined people in the world. 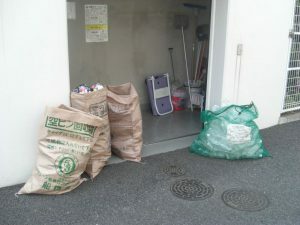 The garbage collection practice in our apartments is one of the examples. This is a garbage collection area in our apartment compound. You can see three brown bags and one green mesh bag. Can you guess what each contains in it? 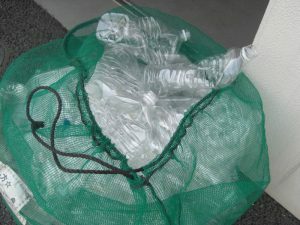 Look at the green mesh bag. This is for plastic bottles. As you see, the residents are required to rinse out the bottles and crush them before they bring them to the collection area. 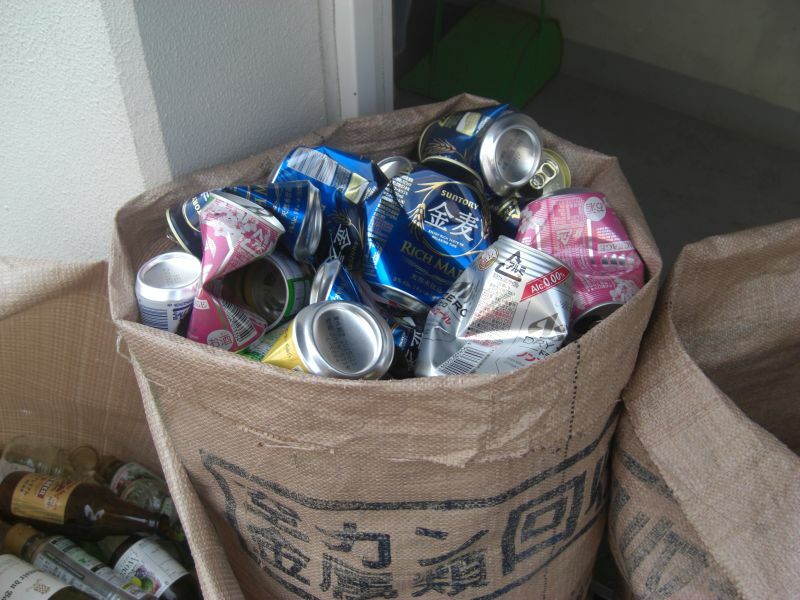 This brown bag is for cans. The residents have to rinse out and crush them before putting them in the bag. 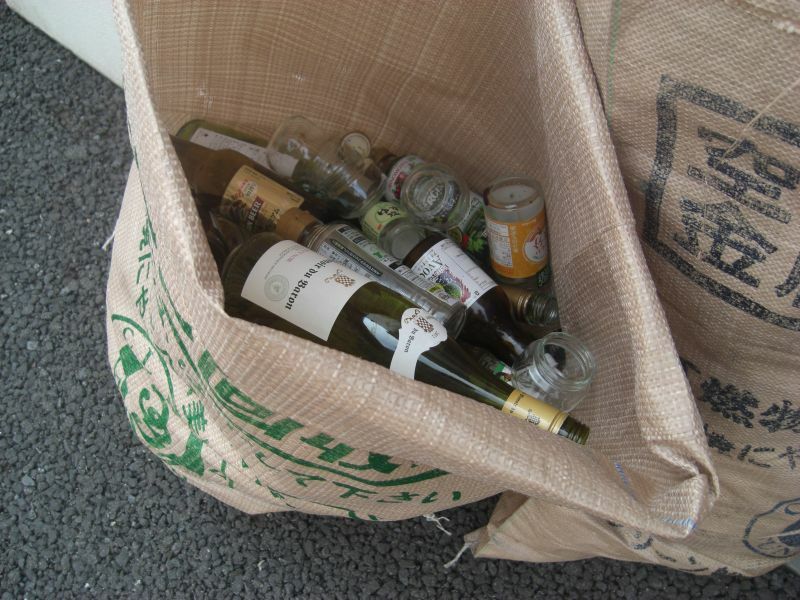 Another brown bag is for glass bottles. All the bottles are rinsed out by each household. The garbage collection service, which is run by the municipal government, collects these bottles and cans once a week, and they are recycled into other products. In my mom’s apartment compound, there are 81 households. All the residents observe these garbage collection rules. They are “beary” disciplined and also environmentally friendly. Would the same practice be possible in your country too?